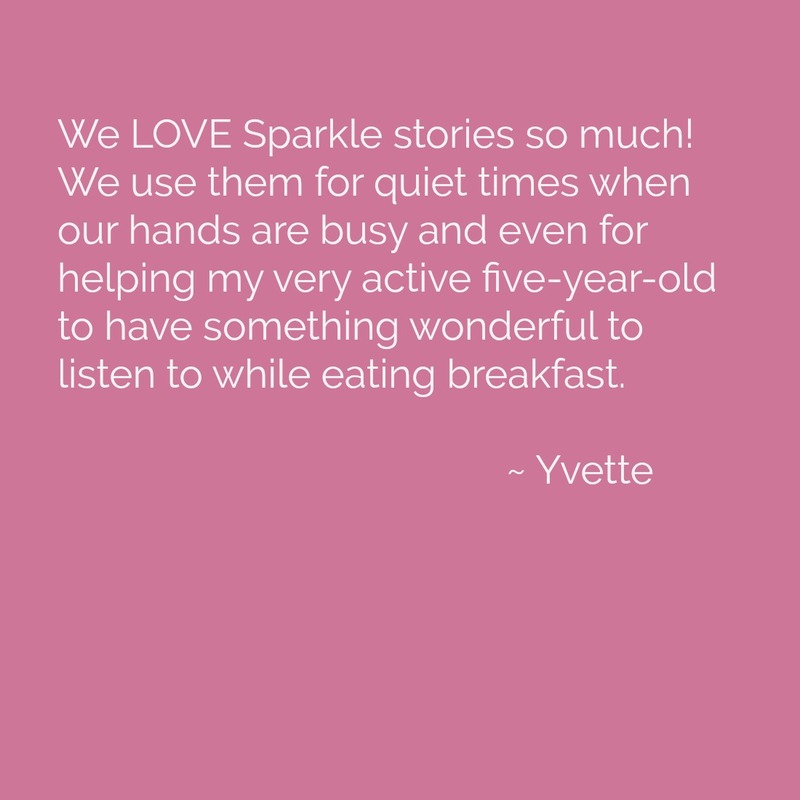 We LOVE Sparkle stories so much! We use them for quiet times when our hands are busy and even for helping my very active five-year-old to have something wonderful to listen to while eating breakfast. Martin and Sylvia are wonderful characters for my child to hear about as they are also homeschooled in a Waldorf-inspired style. My little one loves to hear about their adventures! !